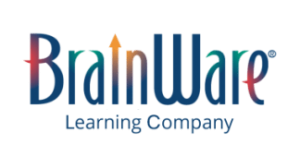 BrainWare SAFARI develops 41 cognitive skills in the areas of Attention, Memory, Visual Processing, Auditory Processing, Thinking and Sensory Integration. Cognitive skills refer to the mental processes our brains use to take in, give meaning to, manipulate, store and retrieve information about the outside world. Cognitive skills also include the processes that help us learn and think, solve problems, collaborate and create. This model of mental processing identifies some of the critical steps in learning and classifies functions into four main stages of processing: Reception, Perception, Memory and Thinking. Reception is the initial step in the learning sequence and involves taking in information through our sense: sight, hearing, smell, taste, and touch. The enormous amount of information available to our senses must be compared, sorted, organized, and then filtered to eliminate irrelevant information and enable relevant information to flow through to other processes. Our brains take just fractions of a second to determine what is relevant and what to discard, and we are not even aware of it happening; this processing is all nonconscious. In order to do this we depend on cognitive skills such as various attention skills and the ability to efficiently gather visual inputs. At the next stage of the learning sequence, information selected in the Reception stage is further processed to identify and interpret it. This requires retrieving stored information from memory and integrating it with the new information. We must put visual and auditory information together, keep things in a sequence and understand where things are in space and time relative to other things. Once again, these processes occur within seconds and are performed nonconsciously. Memory is essential in all phases of information processing and is integral to any ability to manipulate information, compare, comprehend, and learn. In fact, if we can’t remember something, we can’t really say that we have learned it. Memory skills range from immediate to long-term depending on the duration of time information is stored. The only stage at which we are conscious of the information is when we are holding it and manipulating it in working memory. It is important to recognize that if we don’t actively process information in working memory, it is unlikely to be stored in long-term memory. Working memory is one of a special class of cognitive skills referred to as executive functions. Executive functions are the directive capacities of our minds. The other two executive functions are inhibitory control, essential for self-regulation, and cognitive flexibility, which is how we reorient our thoughts when the rules of the world around us change, or when we shift from an external focus to internal reflective thinking. Other higher order executive functions are also part of the thinking stage of the learning sequence. This is the stage at which we achieve comprehension, make decisions, plan for the future and solve problems.